Josh Einiger has the latest developments. EAST FLATBUSH, Brooklyn -- Rapper Troy Ave was shot while going to meet his family in Brooklyn for Christmas, according to a statement by his attorney. 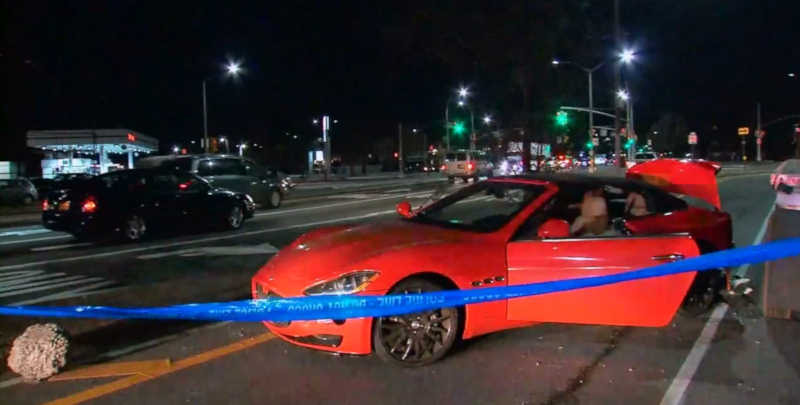 Troy Ave, whose real name is Roland Collins, was reportedly shot two times while in his red Maserati on East 91st Street and Linden Boulevard in East Flatbush Sunday around 5 p.m.
His attorney said he is expected to survive, and was taken to the hospital by private means. Back in August, the rapper filed a lawsuit against the Manhattan venue where he shot himself at a concert earlier in the year. Troy Ave said he's on crutches because of Irving Plaza and concert promoters.